Whenever I got a chance to go around and see some places in a European country, I always like to go for small towns with a charming old town centre, historic buildings and cobblestone streets. 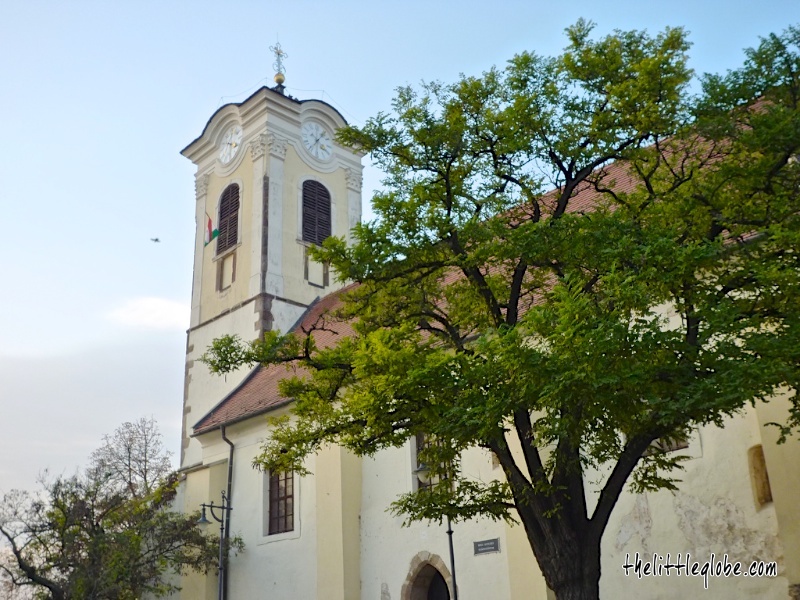 Szentendre became the obvious option for a day trip while I was visiting Budapest with a Sunday to spare. Even better, the journey took only about 40 minutes on the suburban rail (HÉV) from the capital city. 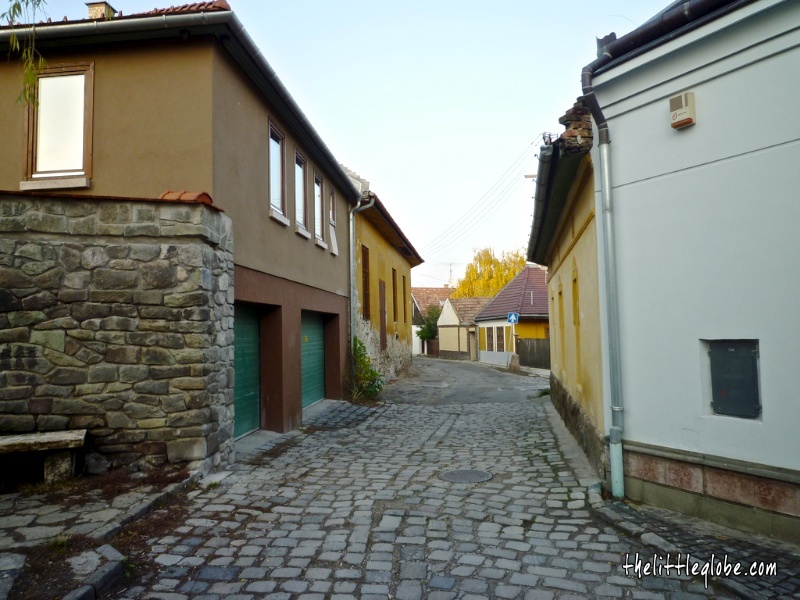 Szentendre is small and easy to find places, the town centre with beautiful old houses and cobblestone streets is just a short walk from the train station. Take a slow walk while you admire the colourful old house along the way. 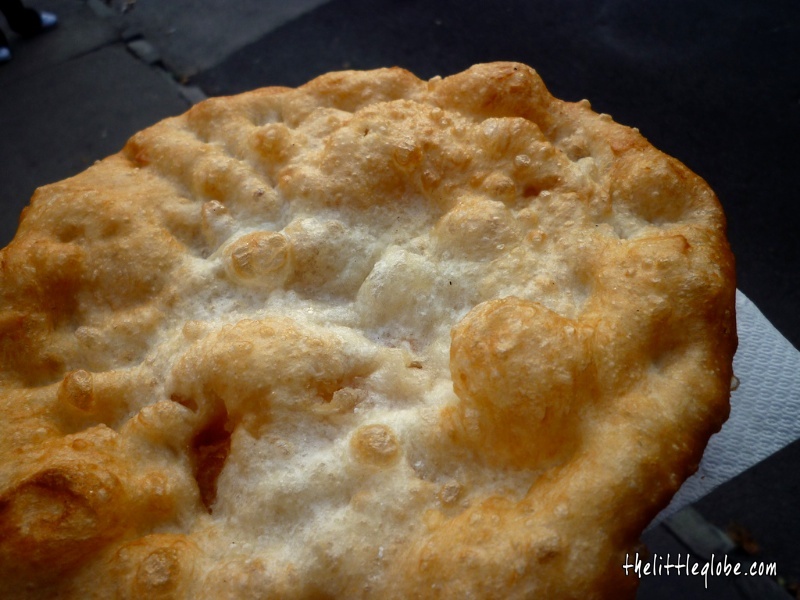 Also, on your way to the town centre, try to get yourself a Lángos which is a Hungarian flatbread at one of the shops; this ought to be an item in your to-do list. 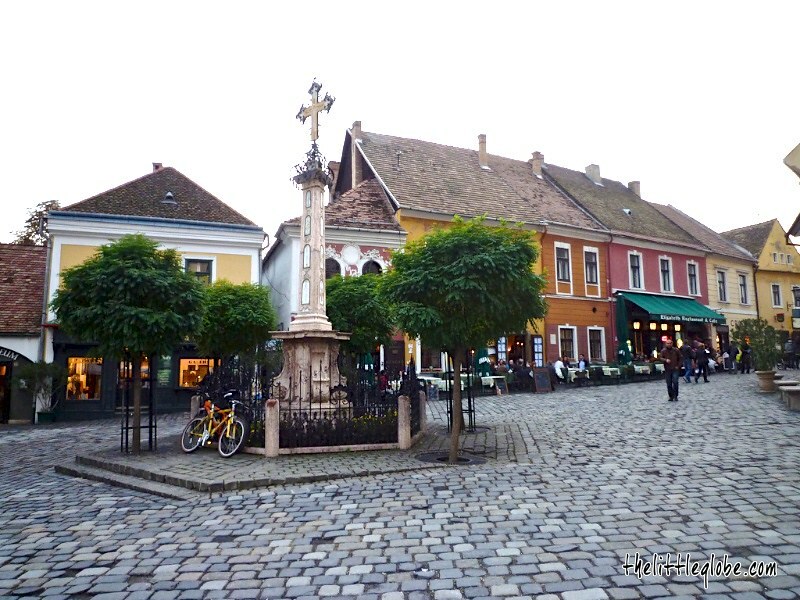 The main square area centred around Fő tér is where the discovery of Szentendre should start; it offers a very well-preserved 18th century colourful Baroque townscape. The Baroque Memorial Cross was dated back to 1763 to commemorate that the town had in fact avoided the plague. 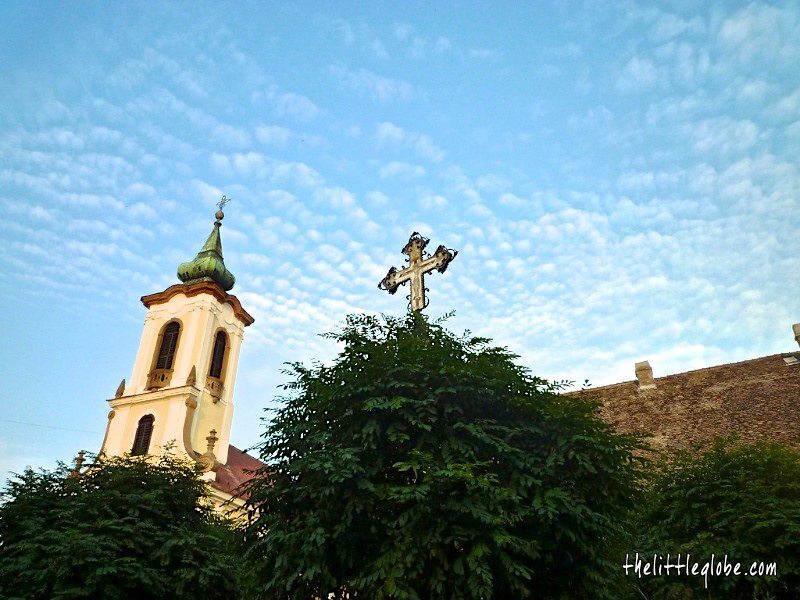 As one of the landmarks is the small but stunning Serbian Orthodox Blagoveštenska Church that was built in 1752; the church together with the cross and other 18th century Baroque style houses around the main square are what make Szentendre a pretty and charming little town. It was worth spending some time here enjoying the view of the townscape and browsing through the souvenirs displaying at many of the shops around. I then continued on the narrow lane lead off from the Main Square in front Serbian Orthodox Blagoveštenska Church, heading for Church Hill (Castle Hill). At the top of the hill is the Parish Church of St. John that was last reconstructed in 1710. The church ground is where you get great views of the town and the Danube. Many tourists and professional photographers alike were busy framing picturesque views, making “souvenirs” and masterpieces. 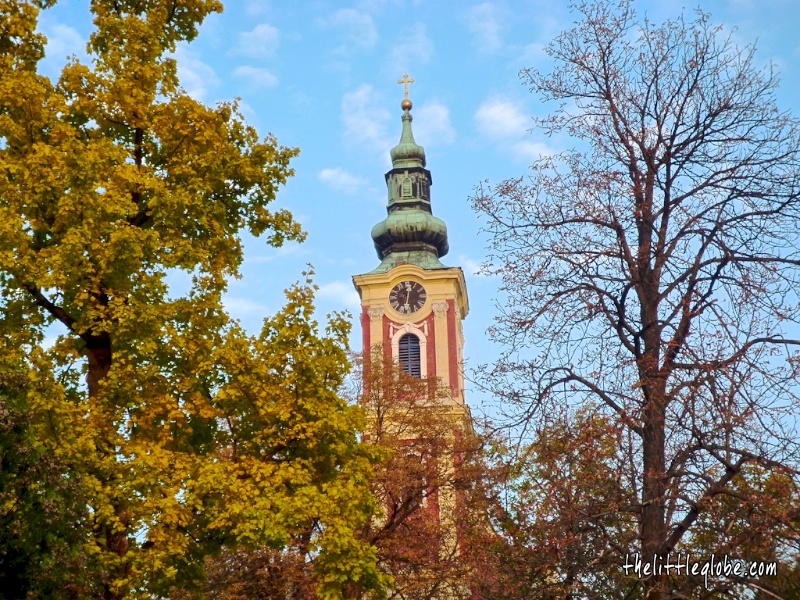 Nearby, not far to the north, the tall red tower of the Serbian Belgrade Cathedral dominates the view amongst century-old trees. This cathedral and surrounding walls were built in the 18th century. 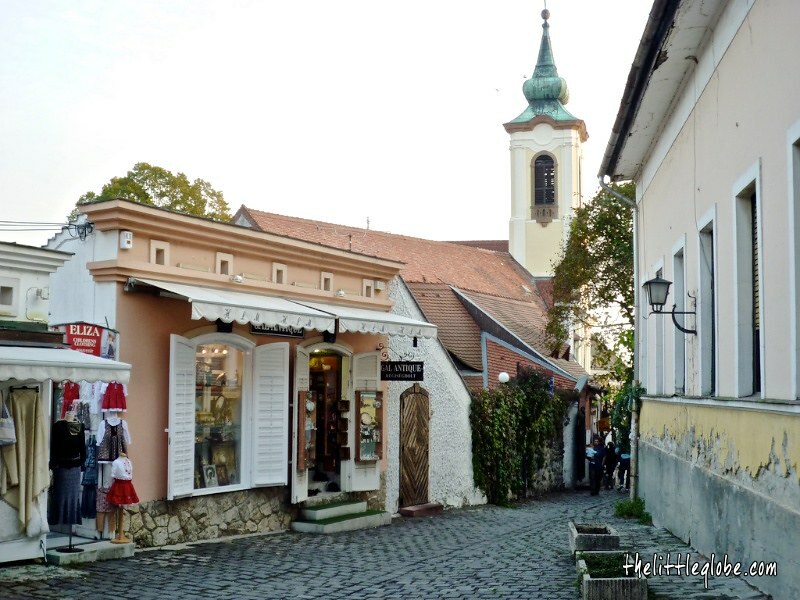 Szentendre is compact and can be easily covered in a day; as a tourist town, there are also plenty of restaurants around the historic old town and shops offering local handicrafts making it the best bet for a day trip from Budapest.